To the Participants: Professors, engineers, researchers and interested students are invited to participate in the Aeronautical Sciences and Space - Technological implications from the perspective of CYBER SECURITY and SAFETY. Presentations from both academia as well as industrial partners will be given. This workshop is organized by INCAS – National Institute for Aerospace Research “Elie Carafoli” in collaboration with Romanian Space Agency (ROSA). INCAS – National Institute for Aerospace Research "Elie Carafoli" (www.incas.ro) is the leading research establishment in aerospace sciences in Romania, with more than 60 years tradition in aerospace engineering, flow physics and applied aerodynamics, using state-of-the-art technologies and unique infrastructure of national strategic importance. INCAS has been involved in all major national aeronautical projects for civil and military areas, and currently is acting as a major player in EU policy for R&D development under FlightPath 2050 vision and future Horizon 2020 program. Romanian Space Agency – ROSA (www.rosa.ro) was established in 1991 and reorganized by a Government Decision in 1995 as an independent public institution under the auspices of the Ministry of Research and Technology (actually, the Ministry of Education, Research, Youth and Sport). 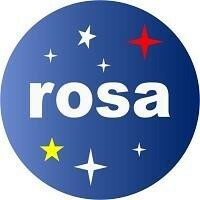 ROSA is the national co-ordinating body of the space activities. The missions of ROSA are to promote and coordinate development and national efforts in the field, and, as a Government representative, to promote international cooperation. In particular, ROSA is authorized to establish research and development centres oriented on specific objectives of the Romanian Space Programme. The President (since 2004) and Chief Executive Officer (since 1995) of ROSA is Mr. Marius-Ioan PISO, Ph.D. Prof. The Honor President is the Romanian cosmonaut Mr. Dumitru Dorin PRUNARIU Ph.D. Eng. Dr. Victor GIURGIUTIU, University of South Carolina, Department of Mechanical Engineering, Columbia, U.S.A.
For all questions please feel free to contact the Organizing Committee by e-mail. The Workshop venue is located at INCAS - National Institute for Aerospace Research “Elie Carafoli”, Bd. Iuliu Maniu no. 220, sector 6. The INCAS is located in the Militari district of Bucharest, near by the subway station "Pacii". One can reach INCAS also using trolleybuses route 61, route 62 and buses route 137, route 138, route 178 and route 236 Valea Cascadelor Station. For more informations see Route map of Bucharest.